Whistler Blackcomb offers a vertical drop of approximately one mile and boasts more than 8,100 skiable acres. The trails total more than 200, and more than 30 lifts are in place to get skiers and snowboarders where they wish to go. On an average annual basis, Whistler Blackcomb gets 410 inches of snow, which is just over 34 feet. The combined Whistler Blackcomb Ski Resort gets around 2 million visitors on an annual basis. 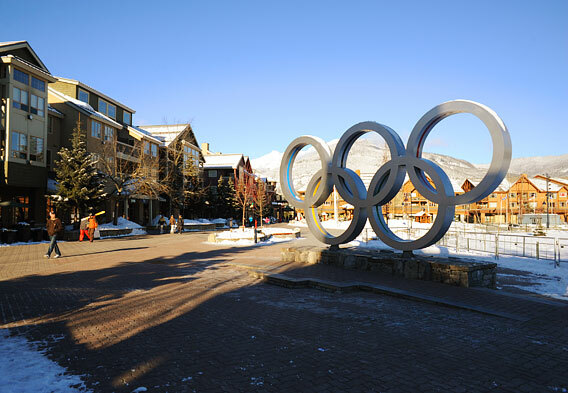 Whistler served as the Host Mountain Resort for the 2010 Winter Olympics. Ski, snowboard, and bike rentals are available at Whistler Blackcomb, so visitors don't have to worry about bringing their own gear when looking to enjoy some of the resort's most popular outdoor activities. Whistler is quiet simply one of the world’s greatest ski resorts. Numerous industry experts actually rank it as the very best ski resort on the planet, and it certainly tops many best North American ski resorts lists. No ski resort in all of North America offers more skiable terrain, and it doesn’t hurt that this terrain features something for all levels. There are slopes for beginners, intermediates, and advanced skiers or snowboarders. Several glaciers and the ample backcountry areas provide some of the best skiing and snowboarding opportunities, and those who are interested in tackling untouched runs can hop on a helicopter to get to them. The Whistler Ski Resort is commonly referred to as Whistler Blackcomb. This reflects the merger between the Whistler Ski Resort and the Blackcomb Ski Resort in 1997. In addition to offering the most terrain in North America, this combined resort destination offers a higher vertical drop and more lifts than any other ski resort on the continent. Both winter and summer are prime tourist seasons, with summer activities including hiking, mountain biking, and golfing. Zip lining through the forest is also a popular summer activity, as is hitching a ride on the Peak 2 Peak Gondola. The views of the Whistler and Blackcomb mountains that can be enjoyed on this gondola are breathtaking to say the least. Whistler Blackcomb is approximately 75 miles north of Vancouver. The drive from Vancouver along Highway 99 takes about two hours, and there is plenty of spectacular scenery to take in during the commute. Day skiers and snowboarders can park for free at the resort, while the majority of the hotels charge a fee for parking. The main information center for Whistler Blackcomb is found at 4230 Gateway Drive, and visitors might also take advantage of the Tourism Whistler office at 4010 Whistler Way. Whistler Village is a ski resort village with many things to do and places to relax, and one of the top places to visit in British Columbia. It is pedestrian-friendly and located at the base of the slopes. Also worth highlighting are the spas here, the lively nightlife, the excellent lodging options, and the numerous dining establishments. The village has won more than its fair share of awards over the years, and it only seems to get better every year. Whistler and Blackcomb may have started out as separate villages, but it is getting harder and harder to tell them apart. The village on the Blackcomb side is known as Upper Village. It sits at the base of the Blackcomb slopes and is separated from Whistler Village by Fitzsimmons Creek. 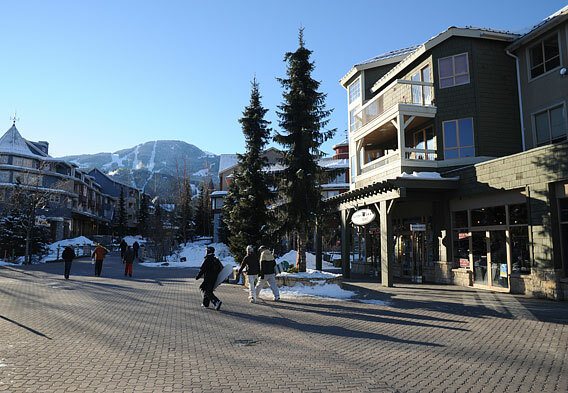 Generally speaking, Blackcomb’s Upper Village is more upscale than Whistler Village. The walk between the two villages only takes about ten minutes.